LEGO Bionicle MOC: Self-created Makuta? This 24" creation is my tallest Bionicle MOC. I was originally going to write a full story for it on Zeyek's Bionicle: Untold, but it never came together. 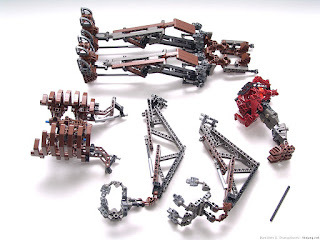 The general idea is that when the Great Beings were doing their early creationary experiments, they were going through many revisions, making prototypes of new beings and casting them off or recycling their materials until they got it all "just right." 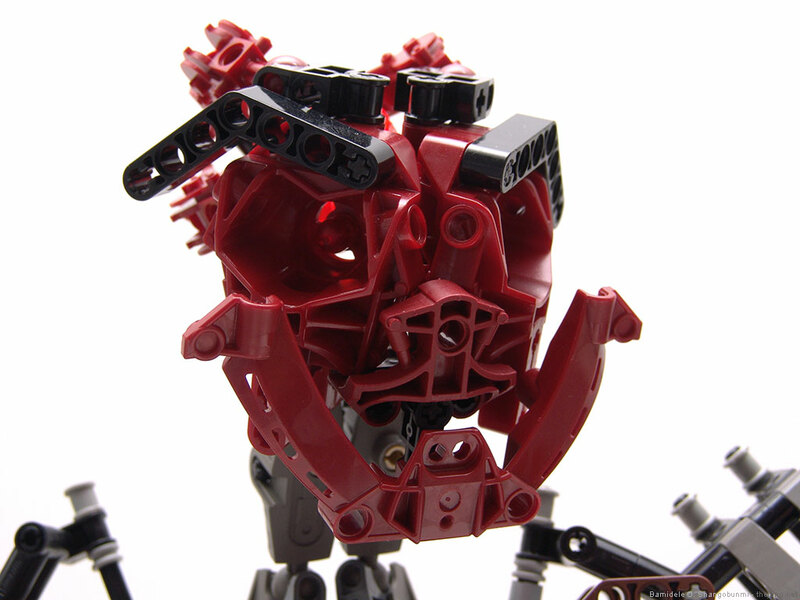 One day they retired to rest after failing to create a viable Makuta prototype. In the protodermis pool they were working from, the spirit of one of their prototypes did not fully dissolve as planned, and it gathered bits of intelligence and designs from other prototype beings that had been experimented with from the same pool. 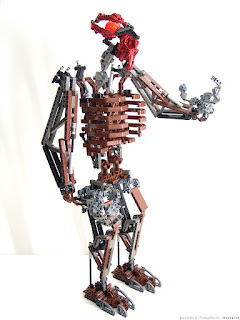 By night, this being was able to form a rudimentary body for itself, and as it witnessed the glory of its success in creating its own physical self, it grew in confidence and strength and began to add more & more material to itself, eventually becoming a hulking, skeletal, robotic giant. 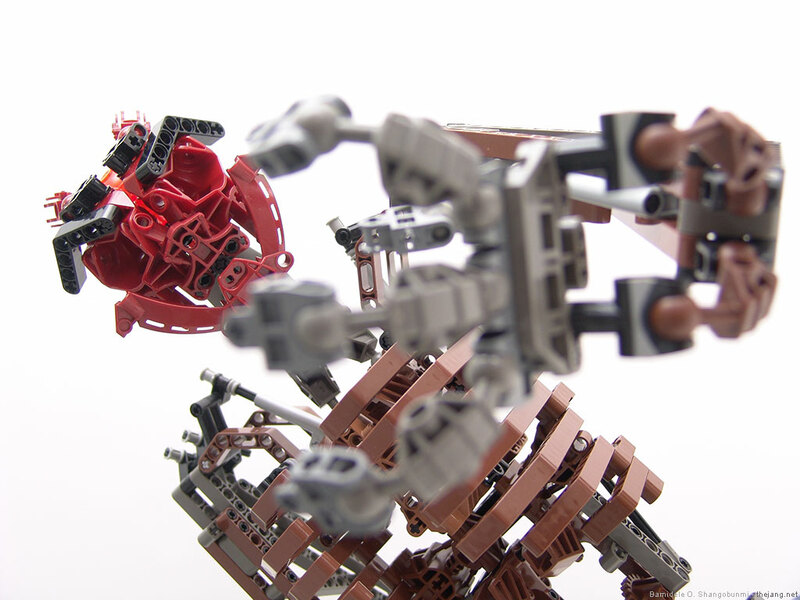 As it was not part of any plan, the Great Beings decided this early Makuta could not be trusted, and could not be allowed to continue its life. They deactivated it, melted its body back into the protodermis pool, then froze and sealed the pool to ensure that nothing contained within it would ever be used or have a chance to escape again. 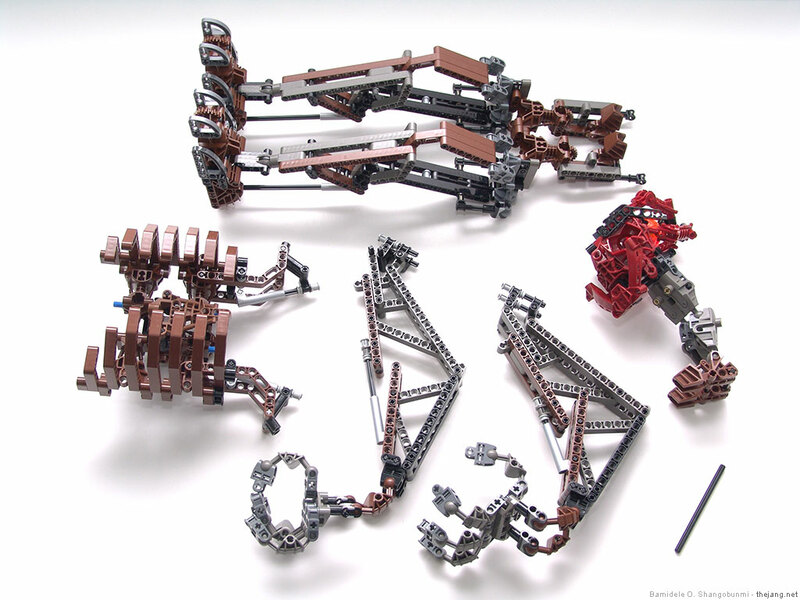 For transportation, this MOC could be fairly easily taken apart. I think it's funny that the head has feet. Sweet design! If this makuta was never destroyed and became the most powerful makuta, Terridax would be so salty! Awesome moc! 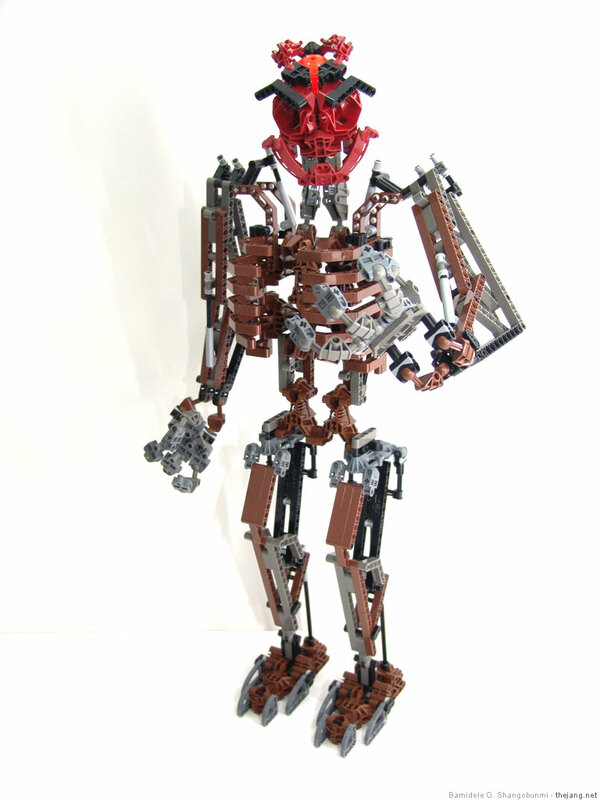 If this makuta was never destroyed, It could have been the most powerful! Terridax would be so salty!